Below you can view all the homes for sale in the The Shores subdivision located in Las Vegas Nevada. Listings in The Shores are updated daily from data we receive from the Las Vegas multiple listing service. To learn more about any of these homes or to receive custom notifications when a new property is listed for sale in The Shores, give us a call at 702-930-8014. Beautifully Upgraded Home Centrally Located In Southshore Close To Freeway Access,Schools,Shopping And Entertainment.Open Floor Plan With 20' Ceilings As You Enter In To Formal Living Room With 2 Way Fireplace In Family Room.Gourmet Kitchen With Quartz Counter Tops,Upgraded Stainless Appliances.Oversized Master Bedroom With Sitting Room Attached And Private Rear Yard W/Covered Patio Pefect For Entertaining On Those Warm Vegas Nights!! Call Today! MLS#2088487. LIFE Realty. Huge private backyard w/covered patio is perfect for relaxing or entertaining! MLS#2087024. Coldwell Banker Premier. More Photos are coming by Wednesday MLS#2086005. Attentive Realty & Property Ma. Buyer to verify schools, hoa & measurements MLS#2084816. Coldwell Banker Premier. Laundry room with sink, new wash/dryer. MLS#2085098. Elite Realty. 3 bedrooms, 2.5 baths, open kitchen with island, tile flooring, cozy family room with fireplace, ceiling fans, large master suite with fireplace and ceiling fan, dual sinks and separate tub/shower in master bath, gorgeous backyard with sparkling in ground pool! MLS#2084115. Platinum R.E. Professionals. Pool eqipment and AC recently replaced. Serious pride in ownership! MLS#2082883. Signature Real Estate Group. Two Covered Patios In Over Sized Backyard & No Home Behind MLS#2079639. BHHS Nevada Properties. Don't miss this great opportunity! MLS#2076620. Marshall Stearns Real Estate. It is close to shopping, school, and public transportation. MLS#2075495. Nevada Real Estate Corp. It is close to shopping, school, and public transportation. MLS#2075479. Nevada Real Estate Corp.
Patio In Back With Easy Care Desert Landscaping. MLS#2074200. Resolution Realty. covered patio,pergola,and many upgrades. MLS#2072325. Keller Williams Market Place. New IKEA furniture can stay and negotiable. MLS#2070357. Vegas Realty. I will try to be available. MLS#2070068. Coldwell Banker Premier. This Property Is Fantastic! !lease Buyout-30 Day Move-in MLS#2068870. Turn Key Property Solutions. Condo is in a centrally located gated community with a large grassy common area directly out of front door, plus a community pool and clubhouse! MLS#2068984. Urban Nest Realty. This Is Lowest Price For Complete Re-model Of This Floorplan In The Subdivision! ! MLS#2068509. Platinum R.E. Professionals. Buyers Agent to confirm all information MLS#2067261. BHHS Nevada Properties. Show & Sell! 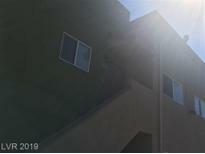 **TENANT- OCCUPIED @ $700/ MONTH** MLS#2064696. Black & Cherry Real Estate. The Home is equipped with leased solar panels that provide owner significant reduction of monthly energy bill. MLS#2064449. TR Realty. Beautiful Gated 2 Bed 2 Bath Condo, Well Kept With Granite Counter Tops In The Kitchen And Bathrooms, Nice Size Living Room For Large Furniture And Walk Out Balcony, Community Pool/Spa And Recreation Room, All Appliances Included. MLS#2057584. Realty ONE Group, Inc.
Large secondary bedrooms. DONT DELAY ACT TODAY MLS#2046872. Platinum R.E. Professionals. Wonderful entry w/ beautiful tile flooring, high ceilings and very spacious.Large kitchen with beautiful tile flooring, island/breakfast bar, large pantry, gorgeous cabinets and granite counter tops!Wonderful loft upstairs, Large master with fireplace and huge bathroom with tile flooring, double sinks, separate tub and shower!LEASE BUYOUT-30 DAY MOVE-IN MLS#1974143. Turn Key Property Solutions. Master bath has double sinks,make up area,sep tub/shower,toilet area w/door. MLS#1937843. Choice One Properties & Manage.